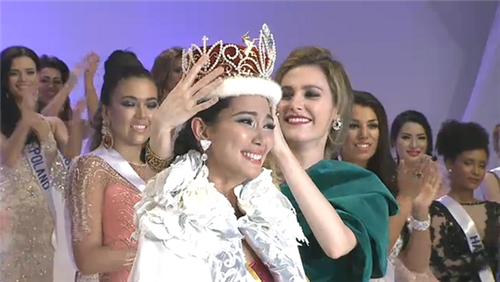 Miss Philippines Bea Rose Santiago wins Miss International 2013 title today, December 17, 2013 in the grand coronation night held at the Shinagawa Prince Hotel Hall in Tokyo, Japan. Santiago, 23-year old from Cataingan, Masbate is the fifth Filipina to win the crown. The most recent being the win of Precious Lara Quigaman in 2005. Miss Netherlands Nathalie den Dekker was the runner-up while Miss New Zealand Casey Radley bagged the third place.